welcome back!!! take ur coat off and stay awhil!!! welcome nodak, I live in the Osakis area now. get your posts rocking and rolling!! hey Mikey square pants, I don't see your name on the challenge list? can't post a picture so I'll have to wait until next year. I'll be getting a new phone this summer and then have to have you teach me how to post them!!! yuppers!! but he's closer to here than anyone else I know. hey if boar can show me the way...................................i tink we can get dat accomplished too!!!!!!!!!!!!!! talk about da blind leading da blind...........dont you and GTO got some issues to work out!!!!!!!!!!!! I found this site after wandering around HSO and wondering what was going on. I had enjoyed that place for many years and participated regularly. Lately though it seems to be a nearly private playground for a handful of people to jab at each other like 3rd graders. I am retired living in White Bear Lake, MN. I like to hunt, mostly upland. A couple of Brits help with that. Fishing is a way to spend some time but I seldom care if anything bites. I spend a lot of time reading mysteries. Three kids spread out a bit keep things interesting. My wife retired a year ago after spending a lot of time as the Director of Customer Service at Pheasants Forever. I hope to find some interesting things to read hear and not see a dozen people plug the system with foolishness. welcome Tom, good to hear ya here.... I do agree too!!! poke for fun here is only is what I have seen here!!! Welcome aboard Tom! It's a friendly neighborhood, Da rent is cheap, and da landlord is great. Welcome, Tom! We even have our own dialect here! Hey! I resemble dat remark so don't get poysonal! AAA....don't listen ta dat guy Tom. He don't mean no harm. I put up a new article every Saturday on the home page. I try to keep those topics close to the what's going on for the season. If you have ideas of what you would like to see, I'm always open. Hay dare vut you speak it. Yust cuz ve talk-it no gud englash is no for u to mak-it funeys on us! Welcome Tom! Its an awsome site. Alot of just plain old garage fun, HD and post regular articles and questions get answer but sometime ya got weed thru the fun. Its all good here and everyone has a thick skin cept glenn, hes the trouble maker so watch out. I SEE NEW MEMBERS SIGNING UP, LOGGING ON AND LOOKING. come on join in, tell us about yourself and your adventures. we dont bite. this is a great sight!!!!!!!!!!! DONT BE BASHFUL!!!!!!!!!!!! Is this post the 30th or 31st? You can find their banner on the camping forum. Soon to be visiting relocated son (Maple Grove). 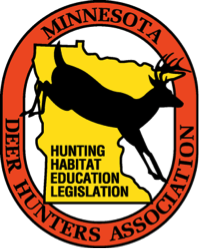 Looking for deer hunting opportunities in MN. My old fart buddies here in Colorado don't hunt anymore. Plus I enjoy hunting with my son. Anyone familiar with Ten Point Lodge down Caledonia way? It's one of the private land opportunities we're looking at. Page created in 0.047 seconds with 61 queries.